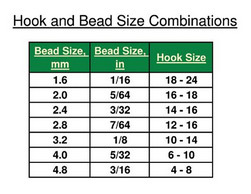 Sizes: 5/64", 3/32", 7/64", 1/8", 5/32", 3/16"
Tungsten Beads are the heaviest type of bead and will sink your fly the fastest. 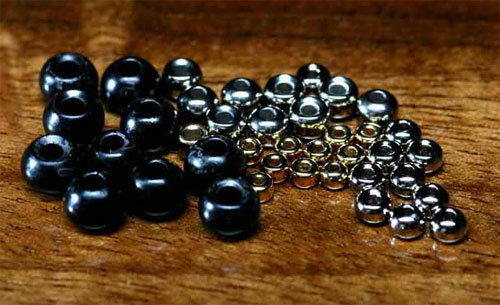 These beads are cut with a nice chamfered bevel on the edge and one side of the bead has a larger hole molded in for easy hook attachment. Four plating colors of Black, Gold, and Nickel. Comes in a package of ten beads.